Graphene, a two-dimensional form of carbon sheets just one atom thick, has been the subject of widespread research, in large part because of its unique combination of strength, electrical conductivity, and chemical stability. But despite many years of study, some of graphene’s fundamental properties are still not well-understood, including the way it behaves when something slides along its surface. Now, using powerful computer simulations, researchers at MIT and elsewhere have made significant strides in understanding that process, including why the friction varies as the object sliding on it moves forward, instead of remaining constant as it does with most other known materials. 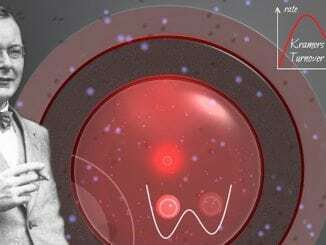 The findings are presented this week in the journal Nature, in a paper by Ju Li, professor of nuclear science and engineering and of materials science and engineering at MIT, and seven others at MIT, the University of Pennsylvania, and universities in China and Germany. Graphite, a bulk material composed of many layers of graphene, is a well-known solid lubricant. (In other words, like oil, it can be added in between contacting materials to reduce friction.) Recent research suggests that even one or a few layers of graphene can also provide effective lubrication. 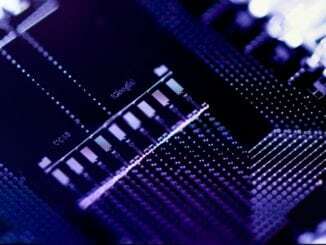 This may be used in small-scale thermal and electrical contacts and other nanoscale devices. In such cases, an understanding of the friction between two pieces of graphene, or between graphene and another material, is important for maintaining a good electrical, thermal, and mechanical connection. Researchers had previously found that while one layer of graphene on a surface reduces friction, having a few more was even better. However, the reason for this was not well-explained before, Li says. “There is this broad notion in tribology that friction depends on the true contact area,” Li says — that is, the area where two materials are really in contact, down to the atomic level. The “true” contact area is often substantially smaller than it would otherwise appear to be if observed at larger size scales. Determining the true contact area is important for understanding not only the degree of friction between the pieces, but also other characteristics such as the electrical conduction or heat transfer. But it turns out that the situation is even more complex than scientists had thought. Li and his colleagues found that there are also other aspects of the contact that influence how friction force gets transferred across it. “We call this the quality of contact, as opposed to the quantity of contact measured by the ‘true contact’ area,” Li explains. 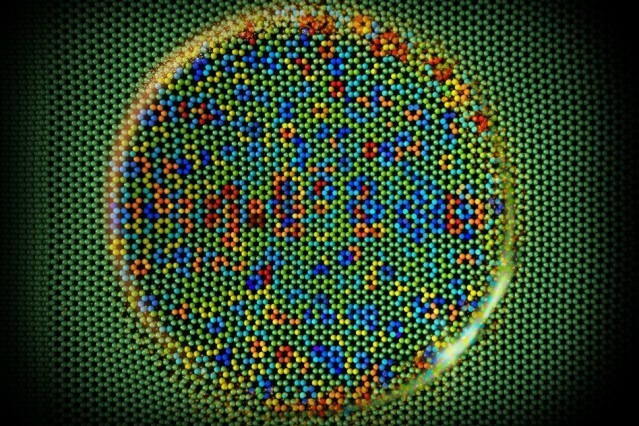 Experimental observations had shown that when a nanoscale object slides along a single layer of graphene, the friction force actually increases at first, before eventually leveling off. This effect lessens and the leveled-off friction force decreases when sliding on more and more graphene sheets. This phenomenon was also seen in other layered materials including molybdenum disulfide. 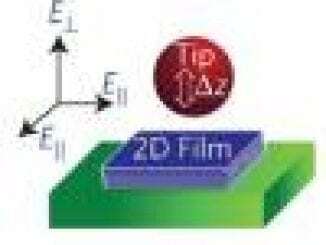 Previous attempts to explain this variation in friction, not seen in anything other than these two-dimensional materials, had fallen short. Images produced from computer simulations show the response of a graphene surface as a silicon tip slides over it. Relative forces of atomic friction on the surface are shown by colors: Red points are “pushing” sites that help propel the tip along the surface, while blue points are “pinning” sites of greater friction that inhibit the tip’s motion. To determine the quality of contact, it is necessary to know the exact position of each atom on each of the two surfaces. The quality of contact depends on how well-aligned the atomic configurations are in the two surfaces in contact, and on the synchrony of these alignments. According to the computer simulations, these factors turned out to be more important than the traditional measure in explaining the materials’ frictional behavior, according to Li. “You cannot explain the increase in friction” as the material begins to slide “by just the contact area,” Li says. “Most of the change in friction is actually due to change in the quality of contact, not the true contact area.” The researchers found that the act of sliding causes graphene atoms to make better contact with the object sliding along it; this increase in the quality of contact leads to the increase in friction as sliding proceeds and eventually levels off. 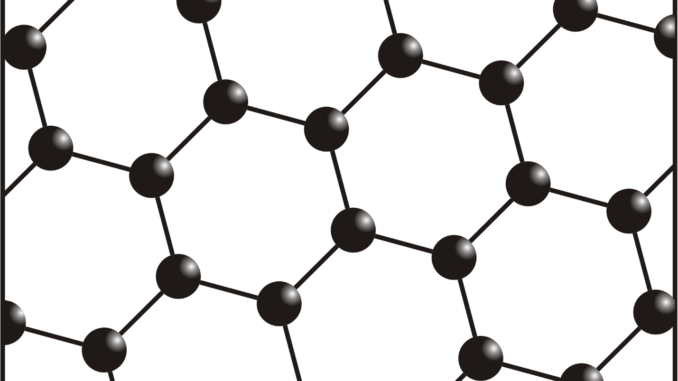 The effect is strong for a single layer of graphene because the graphene is so flexible that the atoms can move to locations of better contact with the tip. A number of factors can affect the quality of contact, including rigidity of the surfaces, slight curvatures, and gas molecules that get in between the two solid layers, Li says. But by understanding the way the process works, engineers can now take specific steps to alter that frictional behavior to match a particular intended use of the material. For example, “prewrinkling” of the graphene material can give it more flexibility and improve the quality of contact. “We can use that to vary the friction by a factor of three, while the true contact area barely changes,” he says. “In other words, it’s not just the material itself” that determines how it slides, but also its boundary condition — including whether it is loose and wrinkled or flat and stretched tight, he says. 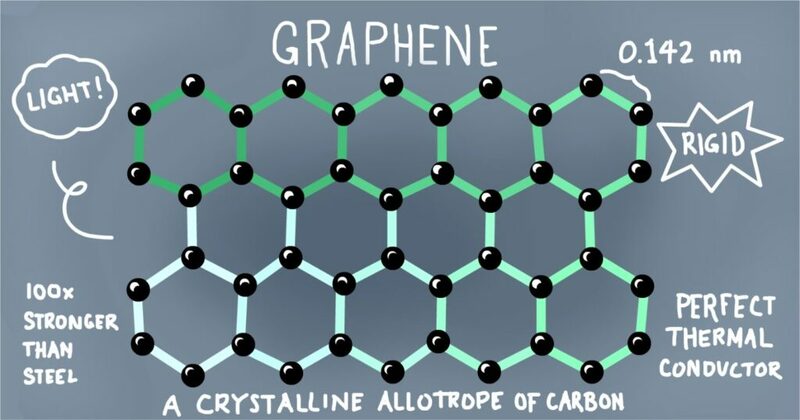 And these principles apply not just to graphene but also to other two-dimensional materials, such as molybdenum disulfide, boron nitride, or other single-atom or single-molecule-thick materials. Besides Li and Carpick, the research team included former MIT and University of Pennsylvania visiting student Suzhi Li, now a Humboldt Research Fellow in Germany; Qunyang Li at Tsinghua University in China; Xin Liu at the University of Pennsylvania and now at Intel; Peter Gumbsch at Karlsruhe Institute of Technology in Germany; and Xiangdong Ding and Jun Sun at Xi’an Jiaotong University in China. Not when the “flatter” surfaces are coated in solid-core polishing spheres.